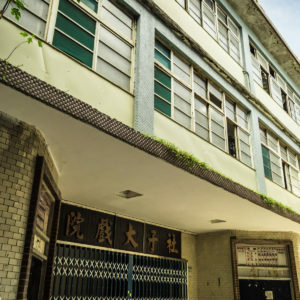 Běidǒu 北斗 is home to the historic Yuǎndōng Theater 遠東戲院 (literally “Far East Theater”, a common name), originally built in 1955. 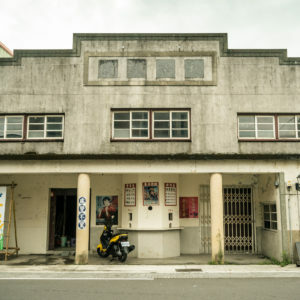 Like most vintage theaters in Taiwan it struggled through the home video era and eventually shut down in the late 1990s. Unlike many other cinemas of its generation it does not appear to have been subdivided into smaller theaters prior to going out of business. 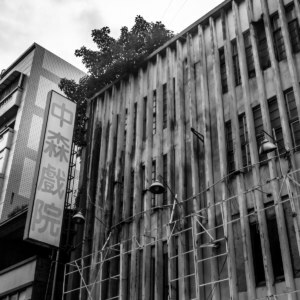 It was, however, converted for use as a karaoke bar or gambling den at some point, judging by what I observed on a recent visit. 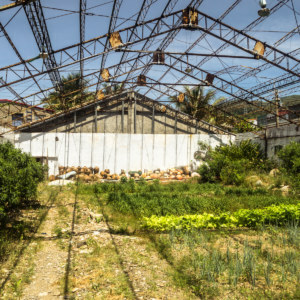 As of 2015 the interior is used for nothing more than storage, particularly for a restaurant that has since colonized the area adjacent to the former ticket booth and entrance. 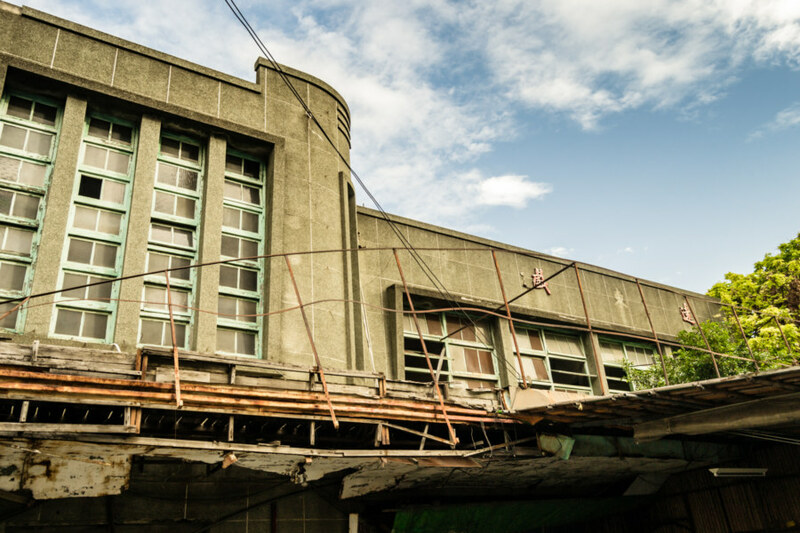 A glimpse of the elegant facade of the historic Yuandong Theater in the heart of Beidou, Changhua. 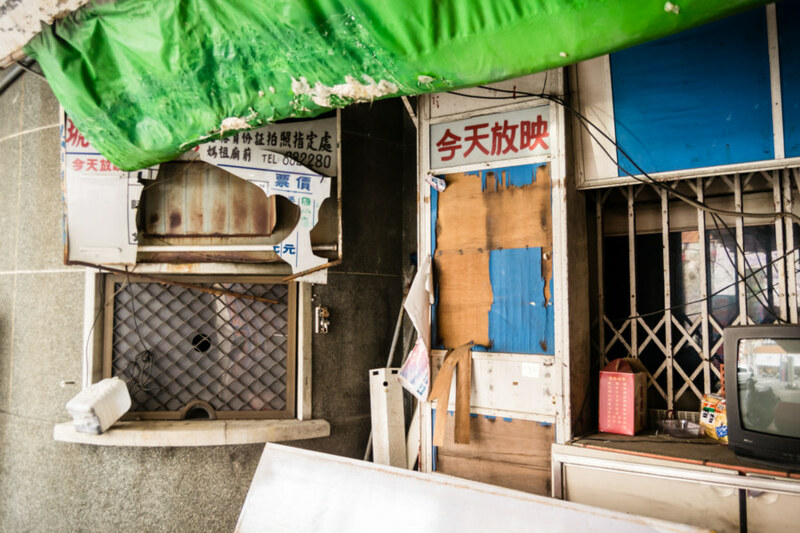 Not much care has been taken to preserve anything around the old ticket booth. 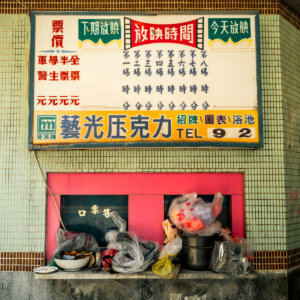 The red characters over the box read “Now Playing”. 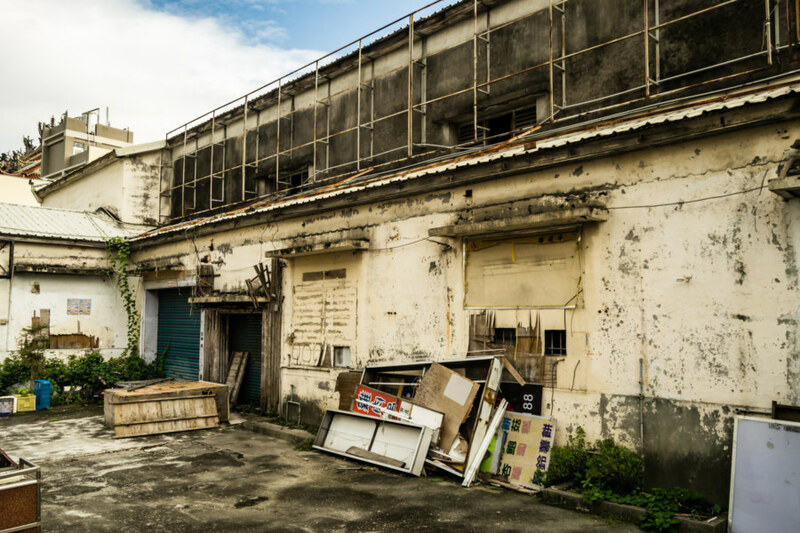 Since its abandonment this theater has been the subject of a considerable amount of controversy for local townspeople, a story outlined in this excellent historical overview (in Chinese, of course). 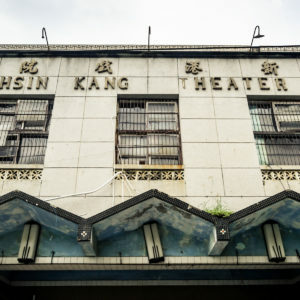 The short version of this tale is as follows: ownership of the theater is split between more than a dozen shareholders, making it unusually complex to decide the fate of this historic building. 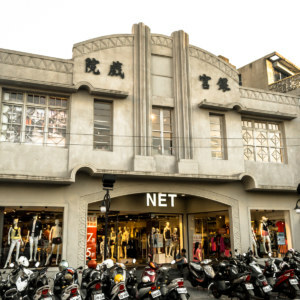 Movie theaters are typically built in high-traffic areas and, as such, occupy valuable real estate, and this is especially true of Beidou’s Yuandong Theater. 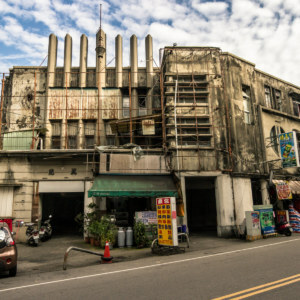 At various times the mayor has pushed for demolition and the construction of a parking lot—the sad fate of many vintage theaters around Taiwan—and the matter went to court several times without reaching a resolution. 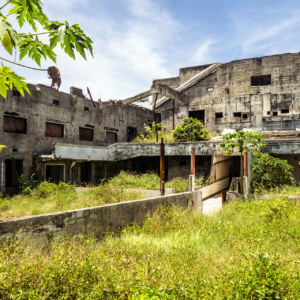 Thankfully the government got involved and formally designated the theater a historic site in 2015, greatly improving the likelihood that the old theater will be preserved. A passageway to the back of the theater. 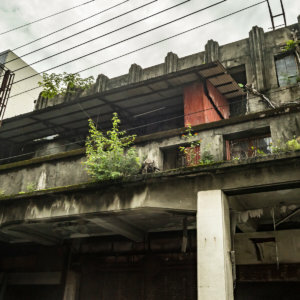 I had no expectation of gaining entry when I breezed by to shoot some photos of the exterior. 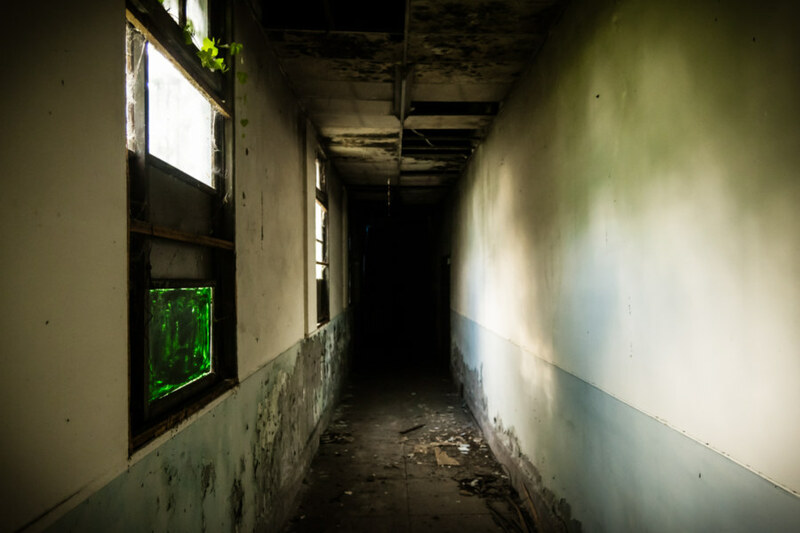 An opportunity presented itself and I seized it, squeezing through a dusty, cobwebbed doorway into a dimly-lit passageway running along the far side of the theater. I crept deeper into the building only to find that most of it has been completely sealed off. Only the stage and screen at the very back of the building were accessible—and it was so dark and cramped that taking a good photograph was rather difficult. I found a calendar inside dating back to July 2006, probably marking the tail end of occupancy by whatever business was operating on the other side of the partition. A cramped look at the main screen inside Far East Theater. 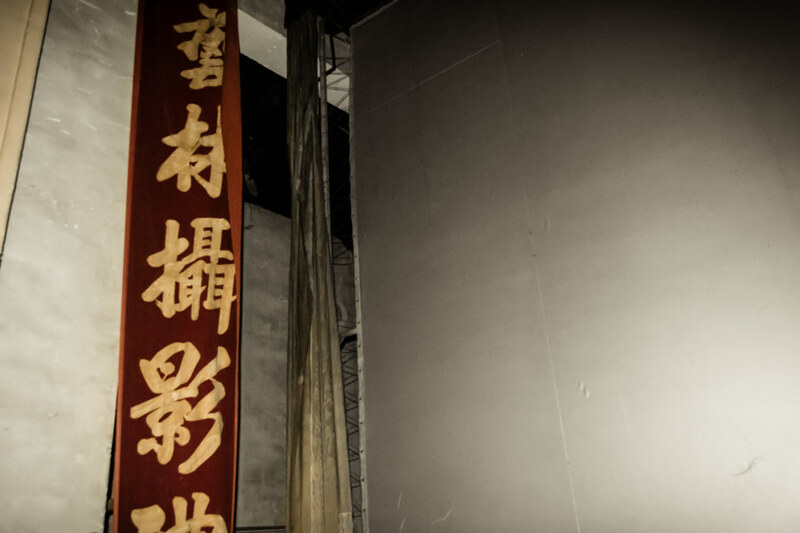 I’m not entirely sure what the characters “林攝影禮” represent but such curtains are usually reserved for sponsorship. 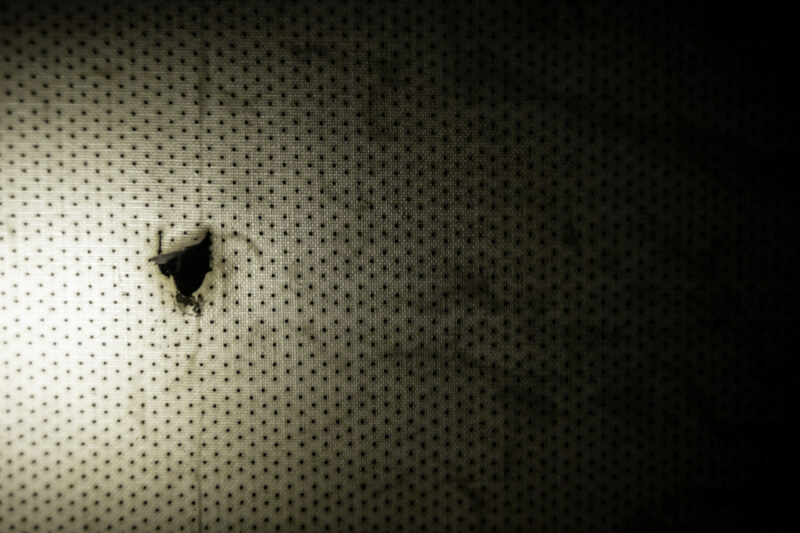 A tear in the fabric of space and time. 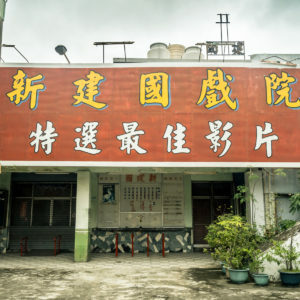 The far side of a vintage theater in Beidou. 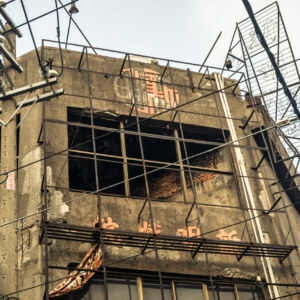 This would have once been the entrance to whatever business occupied the theater after it was shut down. If you’re interested in reading more about this theater try checking out this group of concerned citizens on Facebook. Update: the courts ruled in favour of preserving the theater in 2018.